Obituary for Marguerite A. "Peggy" McTygue | Edwards Memorial Funeral Home, Inc.
Marguerite A. 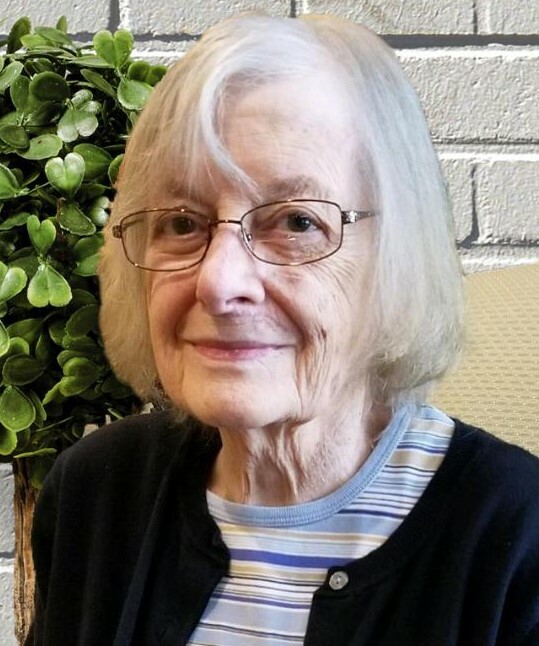 “Peggy” McTygue, 85, of Milford MA died Sunday (February 3, 2019) at Blaire House Assisted Living after a period of declining health. Marguerite was born in Upton MA, the daughter of the late William E. and the late Mary M. (Martin) McTygue. She attended the former St. Mary’s Grammar School and was a graduate of the former St. Mary’s High School, Class of 1949. She was also a graduate of the former Framingham Union Hospital School of Nursing and had received her Bachelor of Science degree from Worcester State College. Marguerite was employed as a registered nurse for many years at the Milford Regional Medical Center. Later in life she continued her desire to care for people by taking care of her many family members. She loved to knit and make fudge and loved to travel. But she especially loved spending time with her nieces & nephews. Marguerite is survived by 3 brothers: William E. McTygue Jr. and his wife Diane of Estero FL, Francis J. McTygue of Naples FL and Michael J. McTygue and his wife Ann of East Sandwich MA; 3 sisters: Kathleen Severance and her husband Donald of Francistown NH, Madeline DeRuvo and her husband Nicholas of Holderness NH and Linda M. Aldrich and her husband Robert of Chester VT; also several nieces & nephews. She was the sister of the late Lillian McTygue, who died in 2012 and the sister-in-law of the late Mrs. Rosemary McTygue of Naples FL. Her funeral will be held Friday (February 8th) from the Edwards Memorial Funeral Home, 44 Congress Street, Milford MA followed by a Mass of Christian Burial at 12PM in St. Mary of the Assumption Church, 19 Winter Street, Milford MA. Burial will follow in St. Mary’s Cemetery in Milford MA. A visiting hour will be held Friday (February 8th) from 10:30am to 11:30am, prior to her Funeral Mass. In lieu of flowers, memorial donations may be made to St. Jude Children’s Research Hospital, 501 St. Jude Place, Memphis TN 38105-9959.